Jesus said to him, “Feed my sheep." A pitiful object is the young minister who enters upon his office with the thought that his days of hard labor and toil are over, that he has now entered a haven of rest and peace, which he decides to enjoy since now he is his own boss and need not take orders from any person in the world. Equally as pitiable as the attitude to the sacred office which I have just sketched is that of the minister who looks upon his office as his craft, or trade, and resolves to prepare for himself a nice, comfortable parish by being careful not to make enemies and doing everything to make all his people his friends. These unhappy individuals plan to employ spiritual assets for temporal profit. They are not true ministers of Christ, and on the Last Day He will say to them: “I never knew you; depart from Me, ye that work iniquity.” Matt. 7:23. But blessed is the minister who starts his official work on the very first day with the determination to do everything that the grace of God will enable him to do in order that not a soul in his congregation shall be lost by his fault. Such a one resolves that by the grace of God he will do all he can, so that, when the day comes for him to put down his shepherd’s staff, he may be able to say, as Christ said to His Father: Here I am and those that Thou gavest me, and none of them is lost. Even the blood of those who shall stand on the left side of the judgment-seat, he resolves, shall not be on his hands. During your present year at the Seminary this very thing, you know, is the subject of our study — the proper division of the Word of God, of Law and Gospel. These two are the cardinal doctrines of all the Holy Scriptures, which are made up of these two. Any passage of Scripture, yea, any historical fact recorded in Scripture can be classified as belonging either to the Law or to the Gsopel. No one should be permitted to graduate from a school of theology who is unable to determine whether in any compound clause of Scripture the protasis is Law and the apodosis Gospel,or vice versa. It is your duty to become perfectly clear on this subject. Without question, the words which, in Rev. 3:15-16, Christ addressed to the bishop of the church at Laodicea are of a memorable and awful import. He said: “I know thy works, that thou art neither cold nor hot. I would thou wert cold or hot. So, then, because thou art lukewarm and neither cold nor hot, I will spue thee out of My mouth.’ We see from these words that in the infallible judgment of God it is worse to be a lukewarm than a cold minister; it is worse to be a lazy and indifferent minister, who serves in his office because it is the profession in which he is making his living, than to be manifestly ungodly. For when a minister, though not teaching or living in a plainly unchristian manner, is so sleepy, so void of all earnestness and zeal for the kingdom of God and the salvation of souls, the inevitable effect is that the poor souls of his parishioners become infected by him, and finally the entire congregation is lulled into spiritual sleep. On the other hand, when a minister leads a manifestly ungodly life and teaches ungodly doctrine, the good souls in his congregation do not follow, but turn away from him with loathing. Now, although greater damage is inflicted on the Church by the lukewarmness of a minister than by his manifest ungodliness, still both kinds of ministers will at the end of the world receive the same sentence. Both the lukewarm and the cold minister will be addressed in those awful words: “I never knew you; depart from Me, ye that work iniquity.” Matt. 7:23. A faithful servant of Jesus Christ, however, will one day hear himself addressed in these words of inexpressibly glad import: “Well done, thou good and faithful servant! Thou hast been faithful over a few things, I will make thee ruler over many things; enter thou into the joy of thy Lord.” Matt. 25:21. A faithful minister must not only avoid being lukewarm or cold, he must be warm. His heart must glow with love of his Savior, Jesus, and of the congregation which his Savior has entrusted to his care, so that he may be able to say with Paul and all the apostles: “Whether we be beside ourselves, it is to God.” 2 Cor. 5:13. This is a strange dictum. Paul says that a minister must manifest greater earnestness and zeal than the majority of the members of his congregation may like or approve. The apostle does not mean to say that in his ministry at Corinth he displayed zeal without knowledge, Rom. 10:2, but that he was more zealous than the Corinthians desired. Every sincere preacher and minister of Jesus Christ shows himself full of zeal and earnest determination, though he may not reap any better reward from his congregation than unpopularity, hatred, and enmity. A sincere minister will go through such experiences rather than gain any one for himself by hushing the truth, veiling it, or grinding down its sharp points. It is an undeniable fact, then, my friends, that a minister, in particular, a really zealous minister, has to take his ministry seriously, or he commits a grievous sin. However, he can commit a grievous sin also when his presentation of Christianity and the demands which he makes upon Christians are in excess of what the Word of God declares. Jesus says regarding Himself: “I am the Way, the Truth, and the Life; no man cometh unto the Father but by Me.” John 14:6 Peter confirms this statement by his declaration before the Jewish Sanhedrin, saying: “Neither is there salvation in any other; for there is none other name under heaven given among men whereby we must be saved.” Acts 4:12 Paul adds his testimony by telling his Corinthians: “ I determined not to know anything among you save Jesus Christ and Him crucified.” I Cor 2:2. Verily, then, it is a great and awful sin not to draw any soul that has been entrusted to us for instruction to Jesus and not to tell that soul again and again what a treasure it has in the Lord Jesus, its Savior. To keep some one from believing in Christ is such an awful sin that words cannot express it. 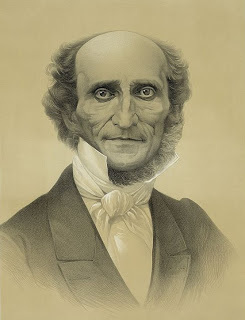 A preacher who restrains a soul from confidently laying hold of Christ — no matter whether he does it consciously or unconsciously, purposely or from blindness, through malice or as the result of a perverted zeal for the salvation of souls — deprives that soul, as far as he is concerned, of everlasting life. Instead of being a shepherd to that soul, he becomes a ravening wolf to it; instead of being its physician, he becomes its murderer; yea, instead of being an angel of God, he becomes a devil to that person. Alas, ever so many preachers have not realized until their dying day how many souls they have kept away from Christ by their unevangelical preaching and by their own fault have cause the souls entrusted to them to die of spiritual starvation. The result was that these unhappy preachers shortly before their death have had a severe soul-battle to fight with self-accusations and despair, and not a few of them have departed this life without consolation, in anguish, misery, and despair. The worst offenders in this respect are the so-called rationalistic preachers, who with diabolical audacity mount Christian pulpits and instead of preaching Christ, the Savior, to all sinners, recite their miserable moral precepts for a virtuous life and fill the ears of the people with their empty bombast. To these rationalistic mercenaries, “whose God is their belly,” Phil 3:19 the terrible woe is addressed, even in our day, which the Lord denounced, saying: “Woe unto you, scribes and Pharisees, hypocrites! For ye shut up the kingdom of heaven against men; for ye neither go in yourselves, neither suffer ye them that are entering to go in.” Matt 23:13. What terror shall seize these preachers who used to call themselves friends and adorers of Jesus Christ when they must appear before His judgement-seat and hear Him address them in words of flaming anger: “I never knew you; depart from Me, ye that work iniquity.” Matt 7:23. In another place in the same chapter, §52, Gerhard writes: “There are several reasons why this distinction between the Law and the Gospel must be accurately defined and strictly adhered to. In the first place, many instances from the history of the Church of days gone by might be adduced to show that the pure teaching of the article of justification is not preserved, and absolutely cannot be preserved, if the distinction of these two doctrines is neglected.” Woe to him who injects poison into the doctrine of justification! He poisons the well which God has dug for man’s salvation. Whoever takes this doctrine away from man robs him of everything; for he takes the very heart out of Christianity, which ceases to pulsate after this attack. The ladder for mounting up to heaven is taken away, and there is no longer any hope of saving men. “In the second place,” Gerhard continues, “when the doctrine of the Gospel is not separated from the Law by definite boundary-lines, the blessings of Christ are considerably obscured.” By ascribing to man some share in his own salvation, we rob Christ of all His glory. God has created us without our cooperation, and He wants to save us the same way. We are to thank Him for having created us with a hope of life everlasting. Even so He alone wants to save us. Woe to him who says that he must contribute something towards his own salvation! He deprives Christ of His entire merit. For Jesus is called the Savior, not a helper towards salvation, such as preachers are. Jesus has achieved our entire salvation. That is why we were so determined in our Predestinarian Controversy. For the basic element in the controversy has been that we insisted on keeping Law and Gospel separate, while our opponents mingle the one with the other. When they hear from us this statement: “Out of pure mercy, God has elected us to the praise of the glory of His grace; God vindicates for Himself exclusively the glory of saving us,” etc., they say: “That is a horrible doctrine! If that were true, God would be partial. No, He must have beheld something in men that prompted Him to elect this or that particular man. When He beheld something good in a person, He elected him.” If that were so, man would really be the principal cause of his salvation. In that case man could say, “Thank God, I have done my share towards being saved.” However, when we shall have arrived in our heavenly fatherland, this is what we shall say: “If I had my own way, I should never have found salvation; and even supposing I had found it by myself, I should have lost it again. Thou, O God, didst come and draw me to Thy Word, partly by tribulation, partly by anguish of heart, partly by sickness, etc. All these things Thou hast used as means to bring me into heaven, while I was always striving for perdition.” Yonder we shall see — and marvel — that there has not been an hour when God did not work in us to save us, and that there has not been an hour when we — wanted to be saved. Indeed, we are forced to say to God: “Thou alone hast redeemed me; Thou alone dost save me.” Verily, as sure as there is a living God in heaven, I cannot do anything towards my salvation. That is the point under discussion in this controversy. In conclusion, Gerhard says: “In the third place, commingling Law and Gospel necessarily produces confusion of consciences because there is no true, reliable, and abiding comfort for consciences that have been alarmed and terrified if the gracious promises of the Gospel are falsified.” Commingling Law and Gospel brings about unrest of conscience. No matter how comforting the preaching is that people hear, it is of no help to them if there is a sting in it. The honey of the Gospel may at first taste good, but if a sting of the Law goes with it, everything is spoiled. My conscience cannot come to rest if I cannot say: “Nevertheless, according to His grace, God will receive me.” If the preacher says to me: “Come, for all things are now ready — provided you do this or that,” I am lost. For in that case I must ask myself, “Have I done as God desires?” and I shall find no help. Luke 10, 26 ff. Christ meets the question of the self-righteous scribe with the counter-question: What is written in the Law? How readest thou? The scribe answers correctly: Thou shalt love the Lord, thy God, with all thy heart, and with all thy soul, and with all thy strength, and with all thy mind; and thy neighbor as thyself. And now Christ says to him: This do, and thou shalt live. The Lord, on this occasion, testified that, if salvation is to come by way of the Law, only he who fulfils the Law can obtain it. (By the way, we are not to think that to those who do the will of God, salvation must come as a reward of their merit. By no means; their salvation, too, would be owing to the goodness of God.) But to return to our discussion, the aforementioned condition which is attached to the Law hurls us into despair. On a certain occasion, when the Lord wished to instruct the disciples as to what they must preach, He said: Go ye into all the world and preach the Gospel to every creature. He that believeth and is baptized shall be saved. Mark 16, 15. 16. This shows that no condition whatever is attached to the Gospel; it is a promise of grace. Covenant Nurture Create a free website or blog at WordPress.com.